StreamFinder has been compiling the largest list of international streaming radio stations since 2005. Their goal is to help listeners find great streaming radio from around the world while helping streaming radio stations to promote themselves and gain more listeners. Their service has always been free for both listeners and broadcasters – and they hate annoying ads so they do their best to keep them at a minimum so that you can enjoy your time on their site while you are there. 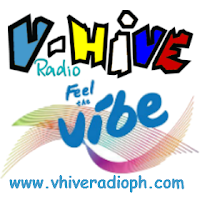 Visit our radio station in their website http://www.streamfinder.com/internet-radio-station/44496/V-hive+Radio/#_.